Born in 1994 in Kazan. In 2007 graduated from the Tchaikovsky Children's Music School No.1 (class of Oksana Bystrova). From 2009 to 2012 he studied at the Central Music School of Kazan State Conservatory Nazib Zhiganov in the Class of the same Teacher. In 2013 he graduated at the Aukhadeev Kazan Musical College in the class of the same teacher. Currently is a student of the Tchaikovsky Moscow State Conservatory (сlass of Natalia Shakhovskaya and Boris Andrianov). 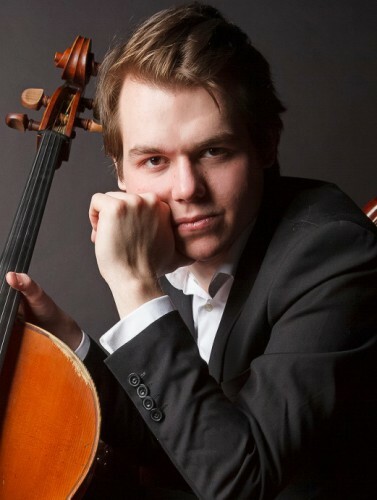 2010 – Winner of Valery Gavrilin International Competition (Vologda). 2018 – Winner of International Competition "Riga Classic Strings" (Latvia). Laureate of the I prize at the III All-Russian Music Competition (Moscow). Holder of fellowship of the Head of Kazan City Administration and the Ministry of Culture of the Republic of Tatarstan. Participated in the Eliso Virsaladze Music Festival, as well as the concert, organized by the Vladimir Spivakov Charity Foundation in the «Avery Fisher Hall» (New York). Took part in master classes of Sergey Roldugin and in international Carl Nielsen master class (Assens, Denmark). Participant of St. Petersburg Music House programs since 2012. Концерты: «Молодые исполнители России» (16 мая 2012), «Река талантов» Тольятти (17 ноября 2012), «Поколение Next» Екатеринбург – 8 ноября 2013.